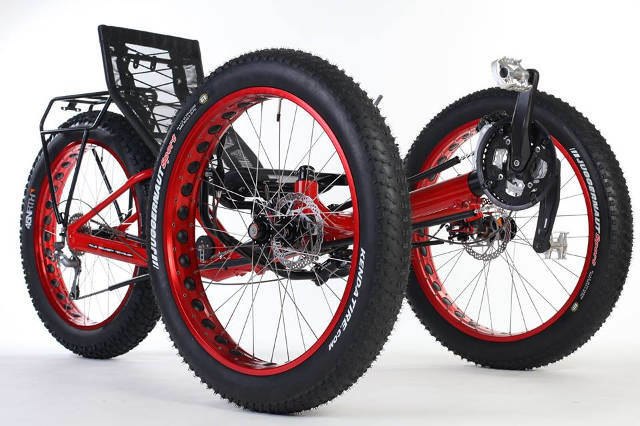 When we began developing our first tricycle, we knew that in the future we wanted to introduce a model that would be foldable into amazingly small dimensions, it would have a rear suspension and overall superior drivability. Ladies and gentlemen, here it comes – the new AZUB TRIcon. A totally unique machine, whose properties will attract you immediately. We have achieved really small dimensions thanks to our folding mechanism in the middle of the frame of F2F (Fold-to-Flat), and folding rear fork. Additionally, you can quickly remove both wheels and mudguards, along with the carrier. All this in less than three minutes. But if you just want to fold TRIcon into your car, just fold it in half and go. For the rear suspension, we chose a proper shock absorber again. You can choose either the basic version of spring / oil, or use one of the top shock absorbers, oil / air combination. Selecting the correct shock absorber and its settings will provide you not only with pleasant comfort, but also very efficient transfer of power. Therefore the pulley position is also very important. We spent a long time “playing“ with this and the result is more than satisfying. We managed to reduce the so-called pogo-effect (lateral swinging of a recumbent bike when pedaling rhythmically or using a force) to an absolute minimum. Excellent drivability plays a major role in the development. Not only front wheel geometry and control, but also the toughness of the rear fork is important. The toughness of the rear fork was vital for us. To get a really tough fork, one must achieve its shortest possible length, which we achieved by using a massive and very lightweight supporting element. It bears the frame mounting to fork, extending to powerful rear stays of the fork. The overall toughness is then supported by the axis of the fork used that is large in diameter and also the position of the shock absorber together with the frame structure in the rear. Another element that contributes to the exceptional drivability are the Remerx double wall rims that not only look absolutely great, but also have unique toughness and strength. This ensures the stability especially in fast rides through sharp curves. In general, TRIcon is a rightful representative of our best Top Line bike series. It represents the best that we can produce for you. You can enjoy a choice of several charge-free colors, multi-level components, countless extra equipment, including disc brakes and a wide range of accessories. Or you can go to our new Color Shop and choose the color combination of the bike to fit your needs. make sure that you get a high quality product designed, produced and assembled in the Czech Republic (European Union). And all this for a more than reasonable price! Read also about the latest generation of our unique Ideal Position System with adjustable sliding seat bracket, which facilitates and accelerates the setting of seat position. 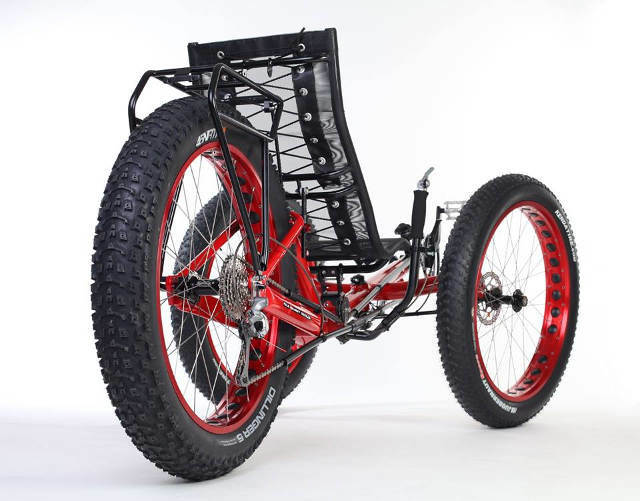 Compared to the model AZUB ECO trike that can be ordered in two colors and one equipment level only, T-tris is a real member of our Mainstream Line series. 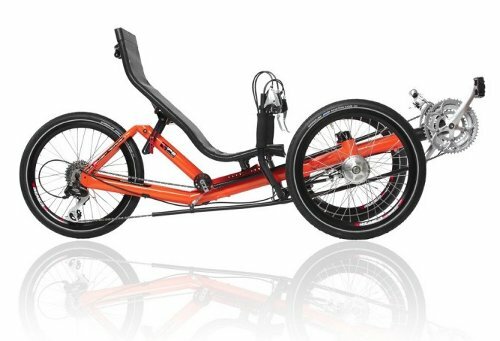 Thus you can enjoy a choice of several charge-free colors, multi-level components, countless extra equipment, including disc brakes and a wide range of accessories. Or you can go to our new Color Shop and choose the color combination of the bike to fit your needs. 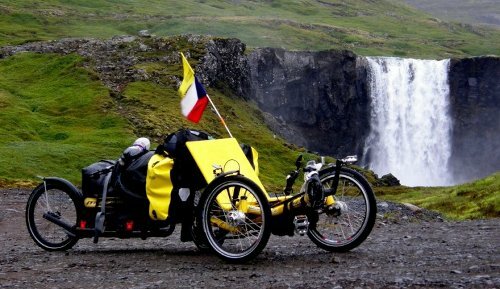 During development of the first AZUB tricycle we spent many hours at the computer; but then the first prototype spent a much longer time in Iceland and other parts of Europe being tested. Thanks to the earned knowledge and with ease, we can introduce a machine that has met all the specified targets. It has compact dimensions, it is fast, manoeuvrable, with small turning radius, sufficiently comfortable with its mesh seat and also its price is very friendly. 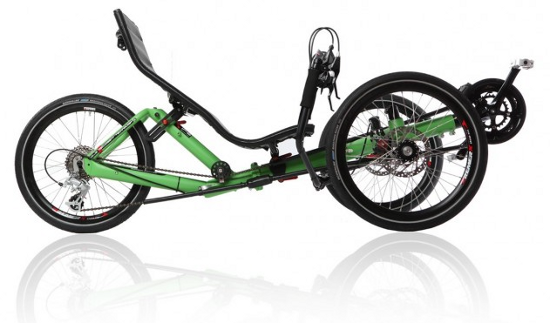 ECO trike stands out with its good riding characteristics, a wide variety of settings using the IPS system. Without the seat, which is easily removable, it is also space-saving. Rear wheel, which is very close to the seating, ensures good adhesion in wet weather as well as in worse terrain conditions. The seat is knitted using a rubber rope, which guarantees a comfortable ride without any major shocks even on rough roads. Certain technical solutions cost us a lot of thought and ingenuity and they are hard to find on other trikes. We are just very proud of our ECO trike.